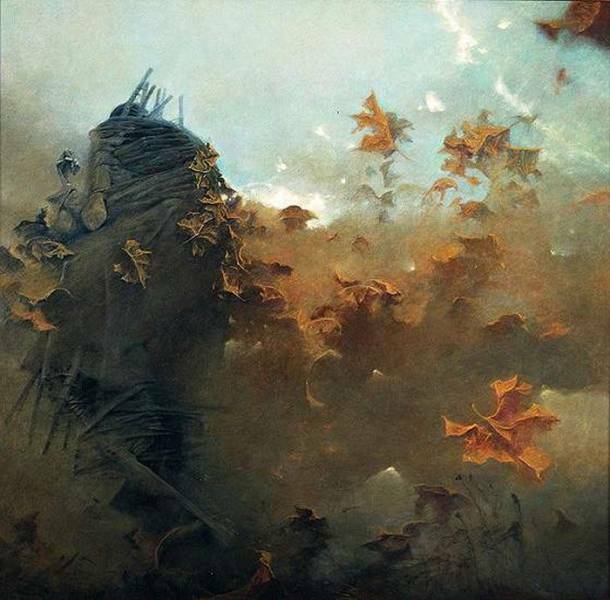 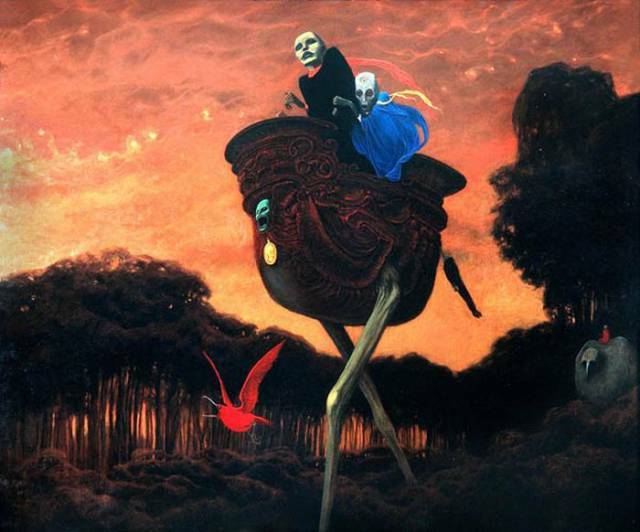 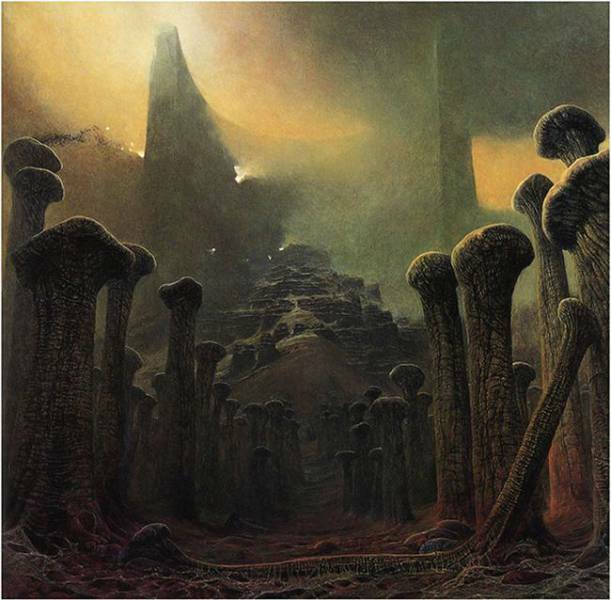 Polish painter Zdzisław Beksiński had a tragic life. 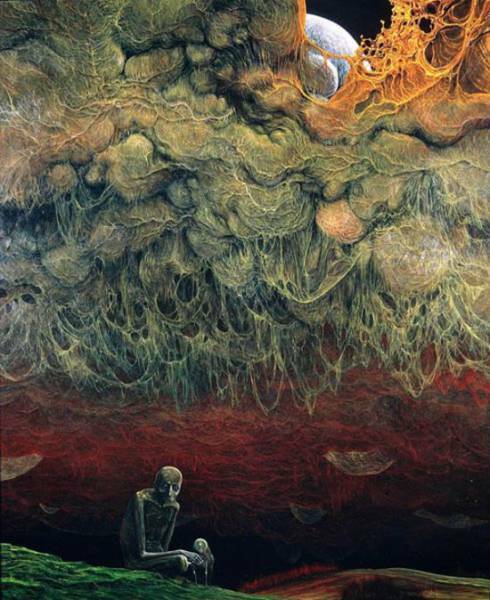 His wife, Zofia, died in 1998. 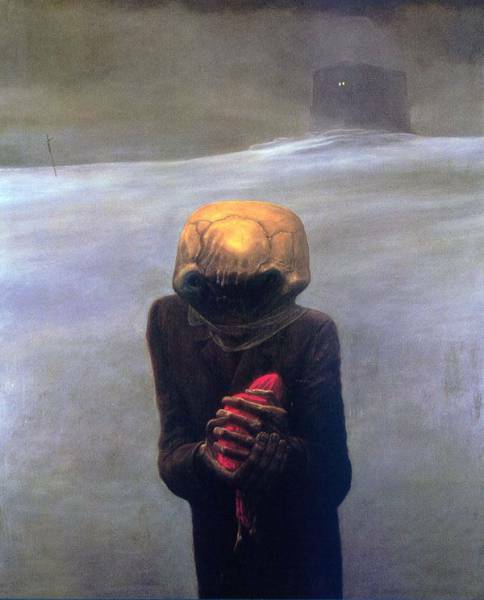 A year later, on Christmas Eve 1999, his son Tomasz committed suicide. 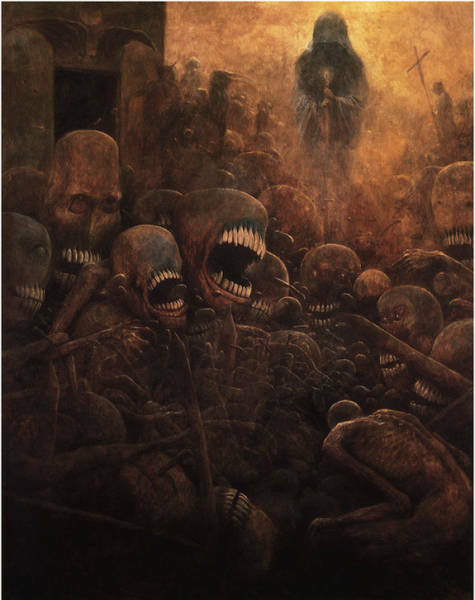 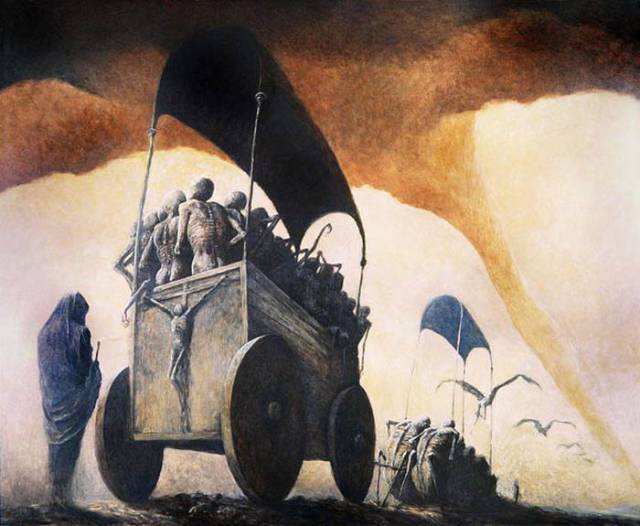 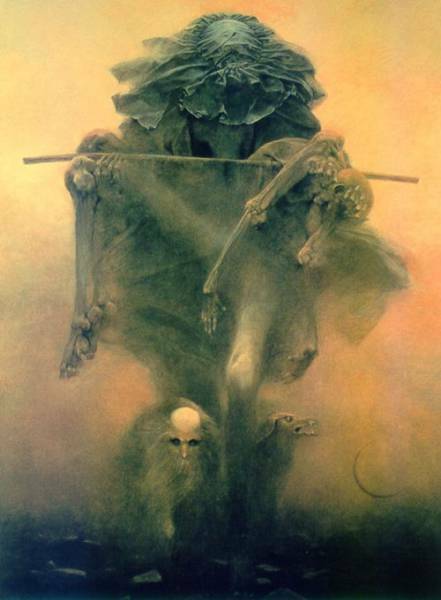 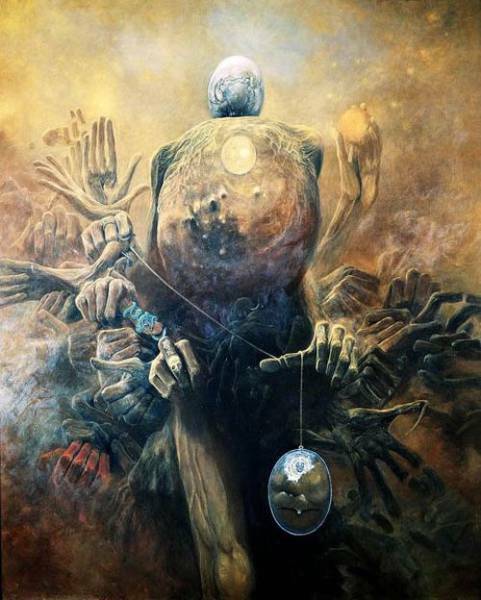 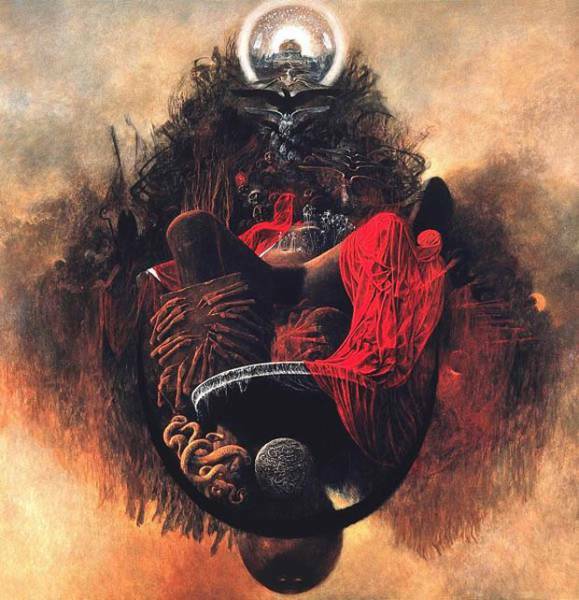 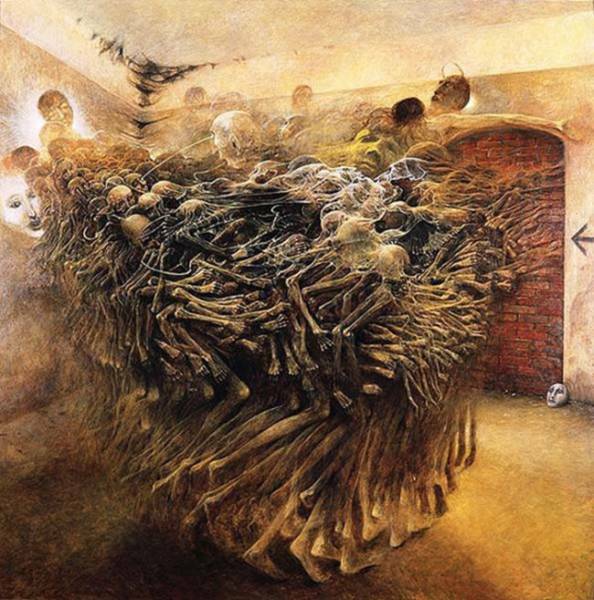 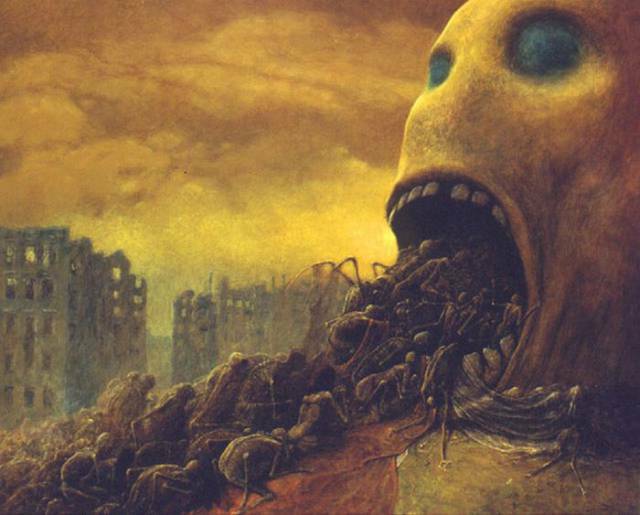 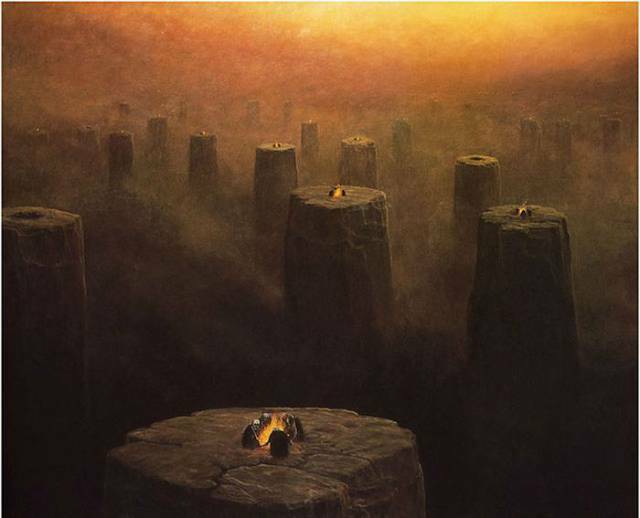 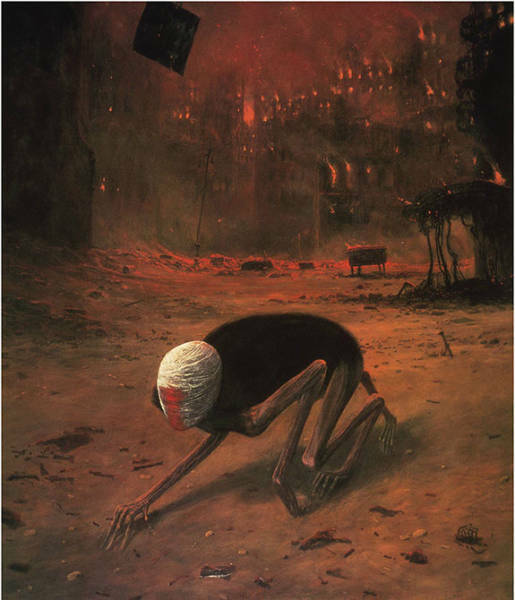 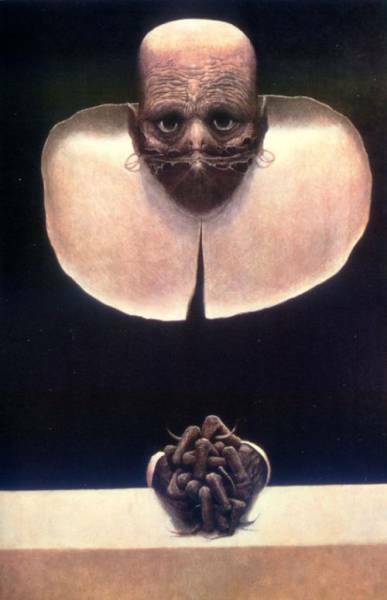 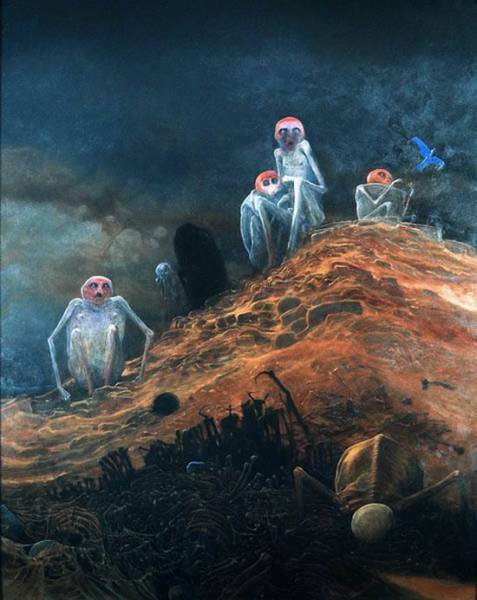 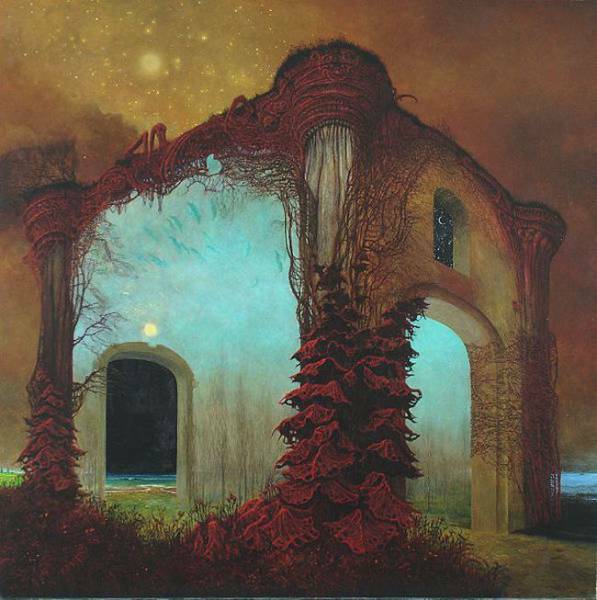 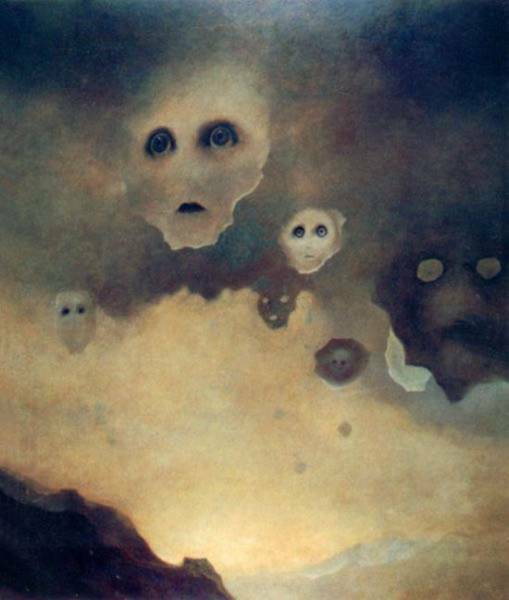 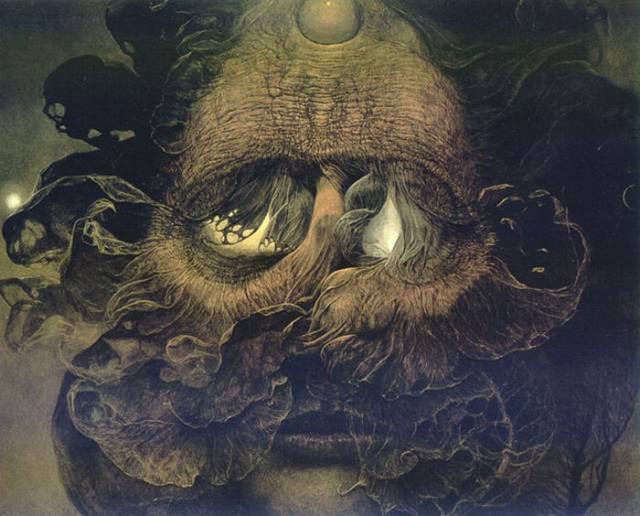 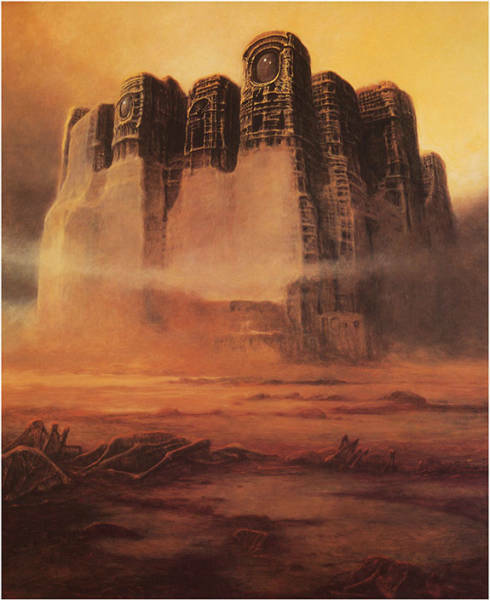 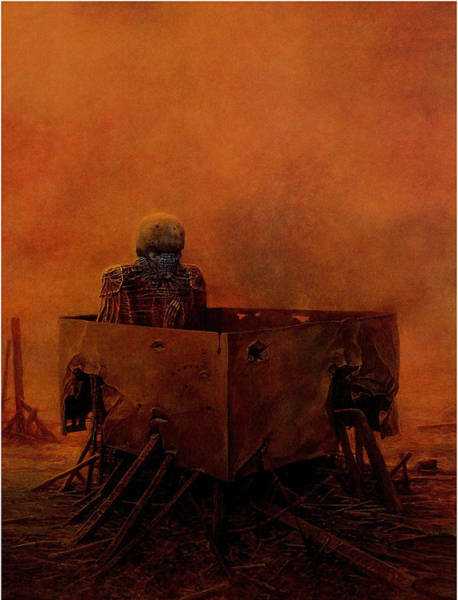 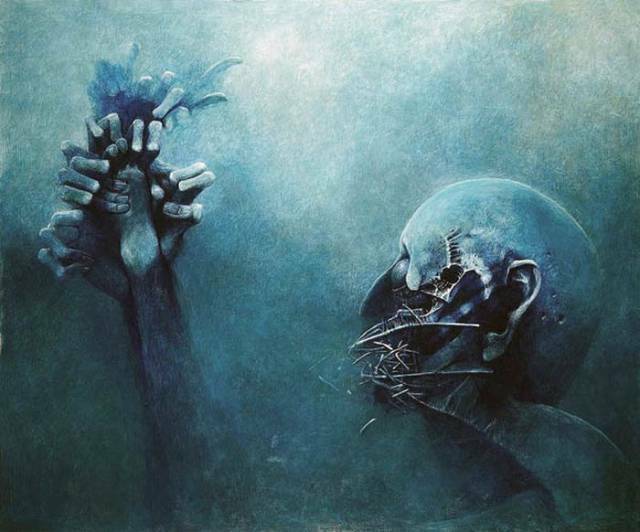 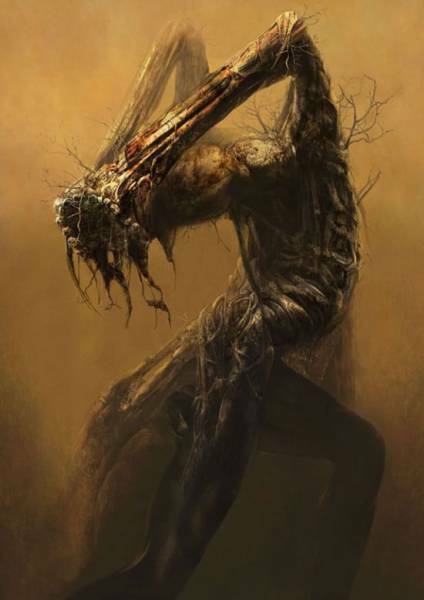 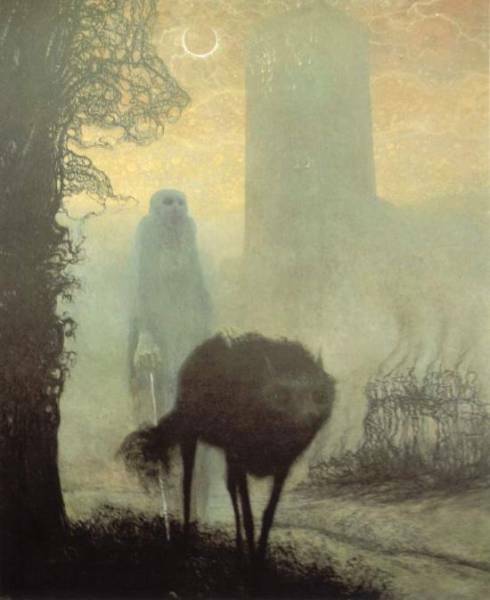 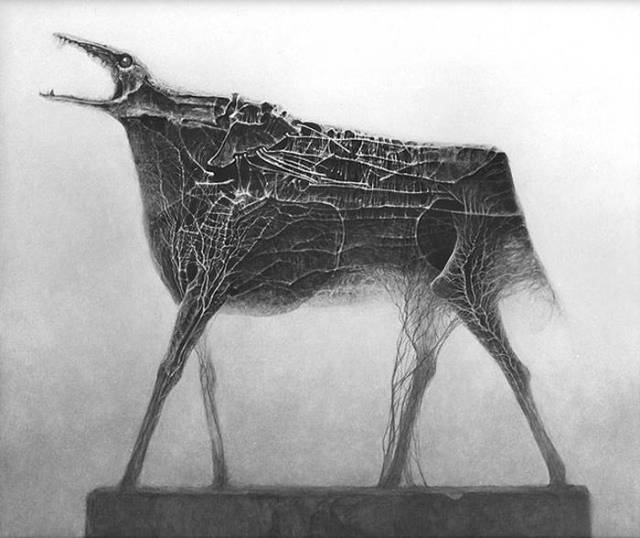 Beksiński was the one who discovered his son's body. 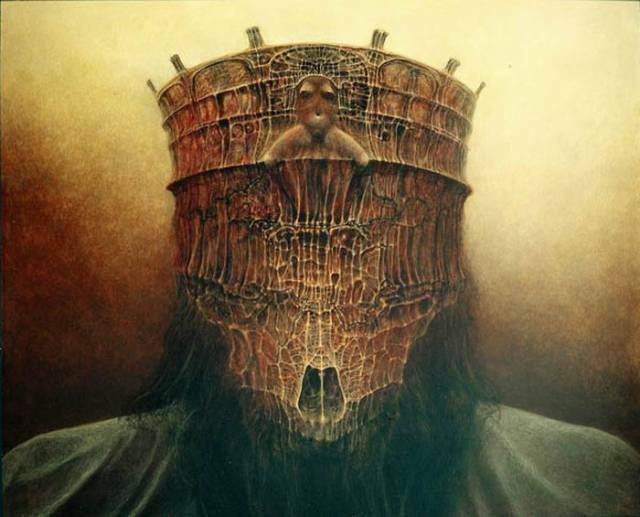 In 2005 Zdzisław Beksiński was stabbed to death at his Warsaw apartment by a 19-year-old acquaintance because he refused to lend the teenager $100 and threatened him further. 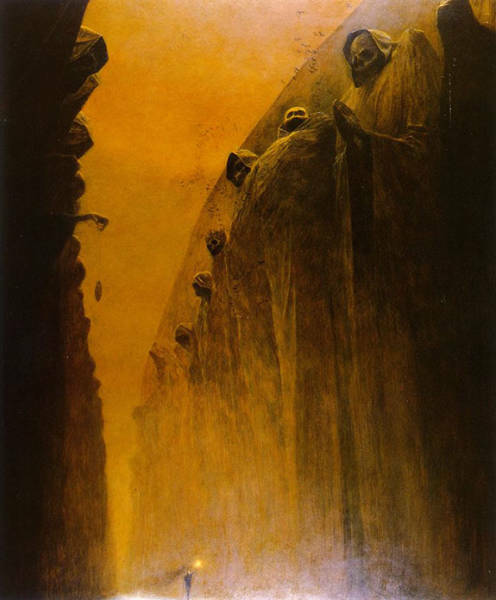 1 response to "Murdered Painter And His Frightening Depiction Of Hell (27 pics) "